(Ages 3+ and dad) Dress your best, grab your dad and head to this popular event! 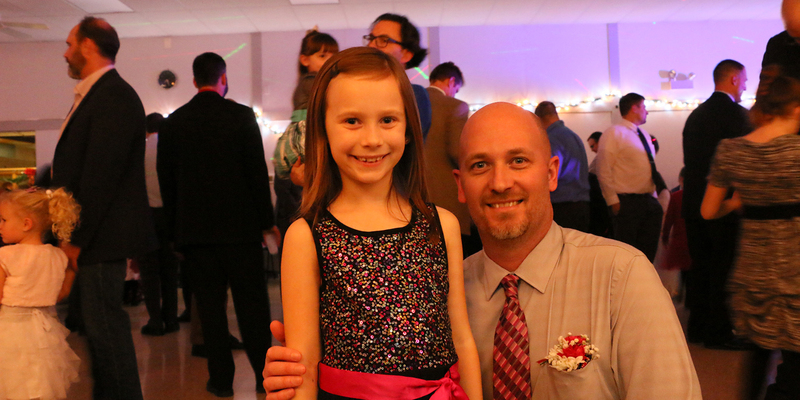 Dads and daughters will dance the night away, play games and enjoy a yummy dessert table! Don’t be surprised if a jolly guest makes a special appearance! Order a corsage by December 5 at 12:00 pm and have it waiting for you at the dance! Click here to register!